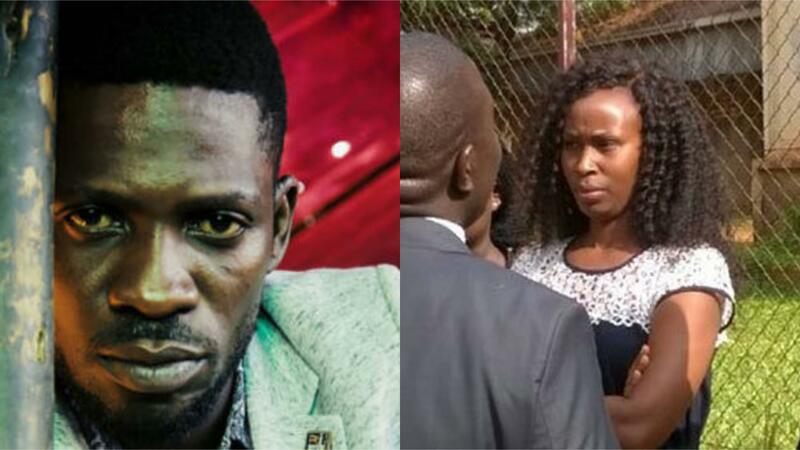 MAKINDYE – Barbie Kyagulanyi, the wife of incarcerated Kyadondo East MP Robert Kyagulanyi, aka Bobi Wine, has said he nearly died as a result of torture in military detention and thanked God that he is still alive. 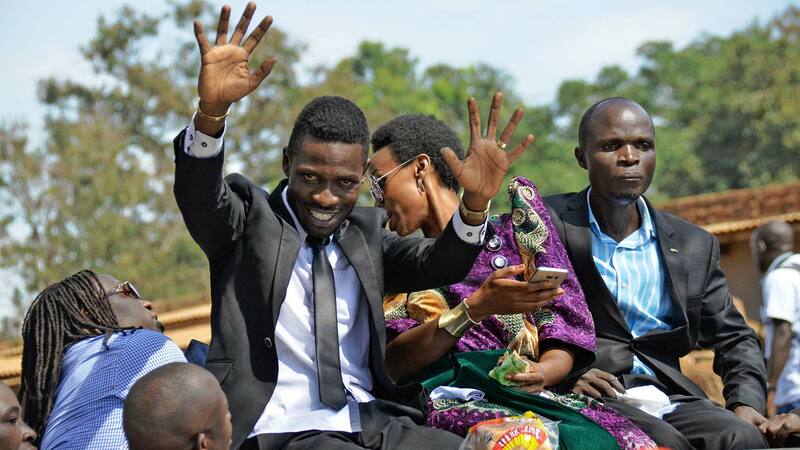 Barbie, who together with lawyers and members of the Uganda Human Rights Commission, was on Friday afternoon allowed access to Makindye military prisons where Bobi Wine is detained, said he is in pain. “… after many days, I was able to see my husband with my own eyes. I am first of all thankful to God that he is still alive! Let’s continue to pray for him. Bobi is in pain. Bobi is hurting EVERYWHERE. We nearly lost him! He wonders how he is still alive after such treatment,” she said in a statement released on social media. Ms Kyagulanyi also said her husband cannot stand on his own. “He has a swollen face- very deformed. At first sight, it is very unlikely that you would recognize him. You may not understand this unless if you see him. His forehead is bruised and his eyes are red. He has many wounds including one on his ear. He seems to have been punched many times on the face. He cannot walk,” she added. She added that he was carried into the room where they met him and that he cannot sit straight. “He speaks with difficulty and has a lot of pain breathing. He has great pain in the left side ribs and hip. He bled a lot through the ears and through the nose. Blood stains are still visible! He is in such a terrible state and in need of urgent medical attention. I could not believe that an innocent man can be taken through all this because he has a different political opinion,” Ms Kyagulanyi said. She added that her husband told her he was not even at the scene where chaos allegedly took place in Arua. “He was with friends watching the news at a restaurant when news came out that his driver had been shot dead. He quickly went into his room as gunshots raged on, and for many hours throughout the night, he kept hearing soldiers banging doors and breaking into rooms of the hotel. Later, the soldiers came to his room and broke into it. They found him standing in the room and the soldiers immediately ordered him to kneel down. Before he could reach the floor, one soldier hit his head with an iron bar and he fell down. They all descended on him, stepping on his head with boots and hitting him everywhere. He became unconscious thereafter and after so many hours, he realized that he was at the Arua airfield on handcuffs. He can’t tell what they might have done to him during that time,” she added. Mrs Kyagulanyi said her husband told the team that after gaining consciousness, he was given many injections and has no idea what they were for. Nevertheless, she said Bobi Wine is strong at heart.